Using furniture to stage a room can help turn a space that is plain into a place that is sold. Whether a room is too big or too small, the right furniture style and arrangement can make all the difference. Rearranging and replacing can bring new life and highlight a home’s architectural features, overall flow and downplay its weaknesses. The following are some common problems we run into when staging both occupied and vacant homes along with some simple solutions and photo examples for creating a space that will appeal to buyers. Problem: Room feels off balance with too much focus on the empty center space. Solution: Float chairs and sofas away from walls and reposition into cozy conversational groups. Use a rug with a neutral background color that blends with furniture to create a more cohesive feel. Be sure to allow for an obvious walkway. Problem: Too much furniture, accessories and artwork makes a room feel cluttered and boxed-in. Solution: Open up and simplify the room by moving unnecessary pieces and repurposing from room to room. Problem: Not enough furniture to give purpose to a room. Solution: A room needs an identity. A few key pieces of appropriate furniture, an area rug to unify and simple modern accents will do the trick. For example, a spacious empty closet or hallway landing area can become an extra office nook by adding a desk, chair and some functional accessories. Problem: Furniture is outdated and/or in poor condition. Solution: Replace dated and worn furniture with modern style rentals (as our client did in photo above). Or select best pieces and hide imperfections by using a slipcover, draping a throw or accenting with colorful pillows. Problem: Focal point is hidden or doesn’t exist. Solution: Create a focal point by arranging furniture to showcase a window with a view, a well-staged bookcase or an uncluttered fireplace mantel with a special mirror or colorful artwork. For more examples of interior decorating and home staging, visitwww.pjstagingdecorating.com. Patti Stern is principal, interior decorator and professional stager of PJ & Company Staging and Interior Decorating, has been decorating and staging homes since 2005. 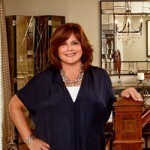 She and her team provide turnkey, full service home staging and interior decorating to clients across Connecticut, New York and Massachusetts. 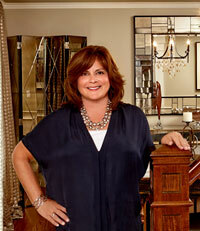 She also developed an award winning staging program for luxury homebuilder, Toll Brothers.